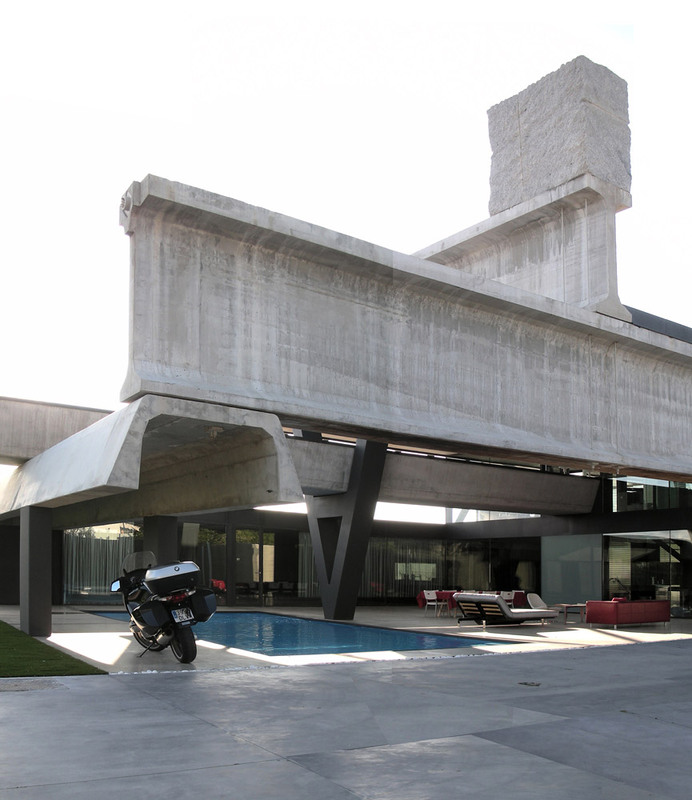 The Hemeroscopium House, by Ensamble Studio in Madrid, is a refined combination of heavy infrastructural pieces. The pieces are stacked; the resulting spaces are a house. Most awesome is the pool deck, entirely under what is typically used for highway or parking superstructures: a giant precast beam. The surreal scale of the elements--nothing except the furniture appears people-scale--reminds us of OMA's work. Yet this is almost post-OMA, in that there is a clear pleasure to living underneath a highway overpass. The deck you walk on is polished and smooth, the pool and furniture are gorgeous, the landscaping mellow. There's no brutality to this brutalism, only refinement and play. In short a place to live. Via Architect, which also has a big gallery of pictures.